An inbound contact centre is one that exclusively or predominantly handles inbound calls (calls initiated by the customer) rather than outbound calls. A call centre may handle either only inbound or outbound calls or might deal with a combination of the two. An inbound contact centre differs from a normal telephone system because it allows a company to manage higher volumes of inbound calls. 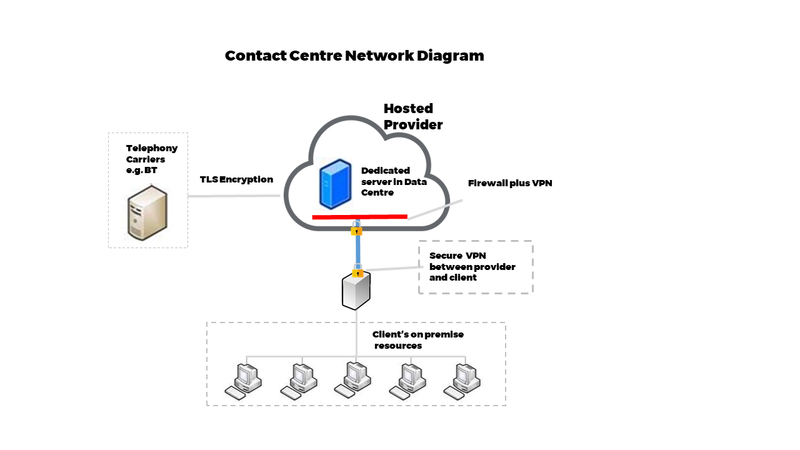 The Hosted Contact Centre software provides a seamless gateway to the telephone carriers enabling your customers to contact you and for your agents to make call backs and follow ups. The sophisticated software is housed in secure datacentres and carefully firewalled to ensure that your contacts' personal information is well protected. One of the great advantage of a hosted solution is that is flexible and easy to upgrade. Inhouse solutions may only have limited options to upgrade. Whereas the hosted solution can be upgraded or downgraded to fit the needs of your business. And because you would generally pay for it on a subsrciption basis, there is no large capital expenditure to make. Direct Routing (Hunt) groups enable the call the be distributed to the next available agent. Route to the Agent that has been waiting for the longest time or has been least occupied during the day. Skills Based routing enables the call to be routed to the agent that is most effective or appropriately qualified to deal with the call. Find out more about call routing. Any professional dialler system will include the recording of all calls as a standard feature. Most dialler providers will keep the call recordings indefinitely for an active client. Call recordings can be downloaded to a local server at the option of the client. One of the issues for contact centres is to be able to find a call recording where necessary. Better quality diallers provide a call recording search facility which greatly speeds up the process of finding and reviewing the contents of these recordings. Hostcomm provides advances call recording options. To provide an effective customer service, modern contact centres need to go beyond simply answering telephone calls. Increasingly, customers are expecting alternative ways of communicating with a business. So, multi-channel features are now being added to call centres to engage with customers from the website. This can include email enquiries and website chat, social media engagement. Many contact centre solutions are now incorporating some or all of these options as new communications channels. Customers don’t like waiting in queues. Using queue call backs to improve customer experience during busy times. This is achieved using queue callback technology. After customers have waited for a predefined length of time, an automated message can offer to call them back. If the customer pushes a button to request this service, the dialler retrieves their caller ID number and drops it into an outbound call queue. Then, it is treated as a standard outbound call. When an agent becomes available, the callback is automatically dialled and passed to the agent when it is connected. Read more about how Queue Call backs work. Integrating your telephony, dialler or contact centre systems with your existing CRM can boost productivity and improve the customer service experience. Improve contact list management by keeping it in one location, your CRM. Real time monitoring and reporting are essential for contact centres in order to manage and improve performance of your contact centre. Real time or wallboard monitoring can be provided. Different wallboards can be prepared for managers as well as helping to motivate the agent team. Detailed contact centre reporting can also be designed to analyse performance over time for a wide range of contact centre metrics. Read more about our reporting options for contact centres.